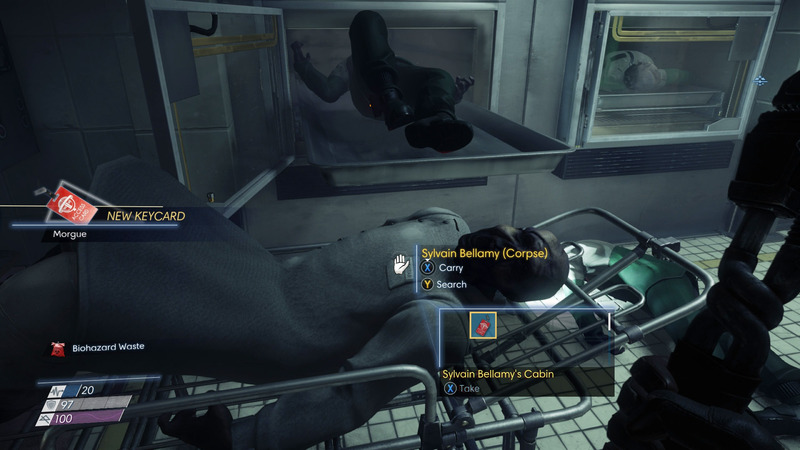 How to get the keycard to the Morgue during the mission, The Corpse Vanishes, in Prey. 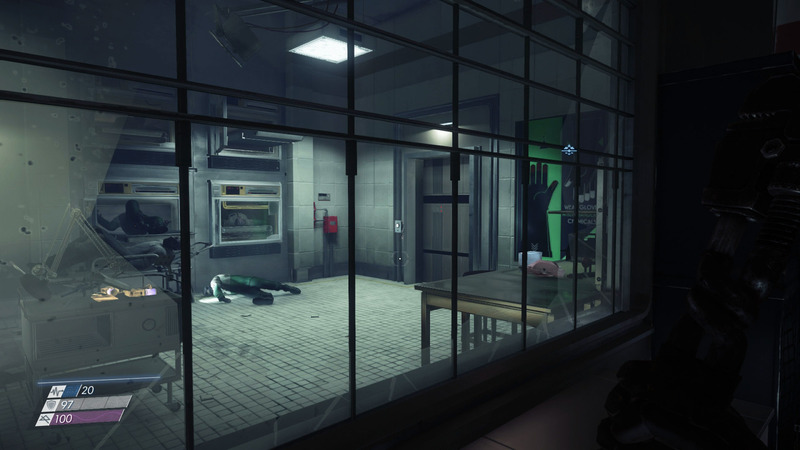 This guide will show you how to open the Morgue during the optional mission, The Corpse Vanishes, in Prey. As part of a side quest, you can travel into Pyschotronics where you'll come across a Morgue that’s locked. 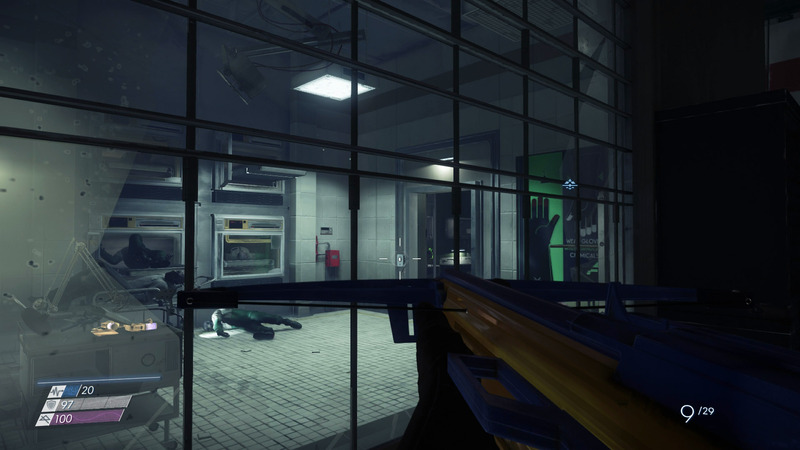 Here, there’s no visible way inside the Morgue aside from using a keycard, as this is one of many doors in Prey that requires a keycard to open. Below, we'll explain how you can get the keycard to the Morgue during The Corpse Vanishes mission in Prey. After making your way through the Psychotronics, you will come across a Morgue that is locked by keycard. 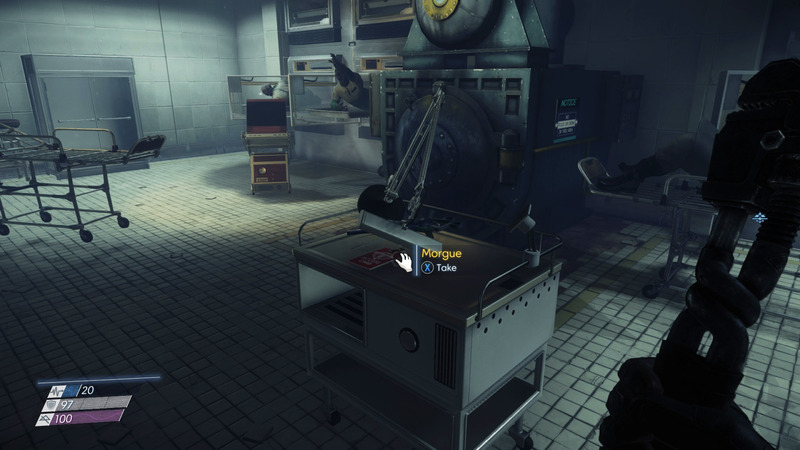 To open the Morgue in Psychotronics as part of the mission, The Corpse Vanishes, you have three different options. 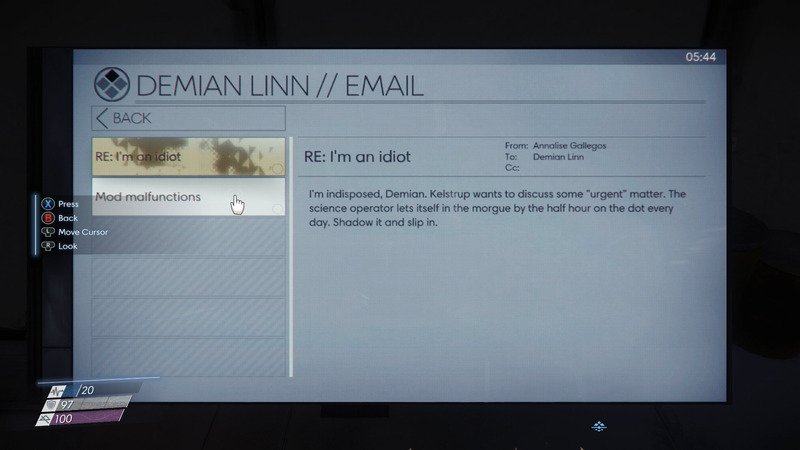 First, you can read an email from Annalise Gallegos titled, “RE: I’m An Idiot” located at the nearby computer. This reveals that a Science Operator patrols the area every half hour. By following this Science Operator, you'll be able to access the Morgue. The email informs you that a Science Operator will come by every 30 minutes, and you can follow it in. However, this is an unreliable method. Unfortunately, this is quite a time-consuming process, and the Science Operator often won’t go anywhere near the Morgue, making it difficult to complete the mission, The Corpse Vanishes. 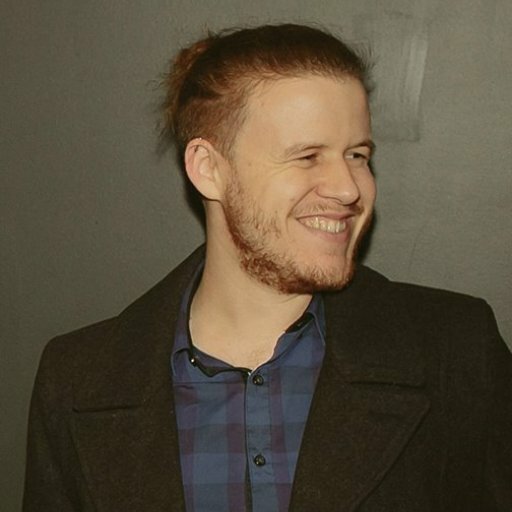 If the Science Operator doesn’t work, you can try the following methods. No matter how you choose to access the Morgue in Psychotronics, you will need to smash the glass. To open the Morgue, you can use one of the Typhon Neuromod abilities to turn into a small object and pass through the bars of the window. To do this, you will need to smash the window, turn into a small object (such as a mug), and go through the bars. Use the Huntress Boltcaster to shoot a foam dart at the button beside the door, this will let you enter the Morgue. Finally, the best way to open the Morgue and finish The Corpse Vanishes mission in Prey is to find the Huntress Boltcaster and fire a FlexiFoam Bolt at the button once you've broken the glass. If you hit the button, the door will unlock, and you can loot the Morgue. Collect the Morgue keycard in case you somehow manage to lock yourself out! Inside, you will find some Neuromods as well as a keycard to the Morgue. If you're running low on Neuromods, be sure to check out our guide on how to get unlimited Neuromods in Prey. On another body is the keycard to Sylvain Bellamy’s Cabin. For reference, this is the doctor you encounter at the beginning of the game in the Simulation Labs. Make sure to get Bellamy's keycard off his body before you leave. 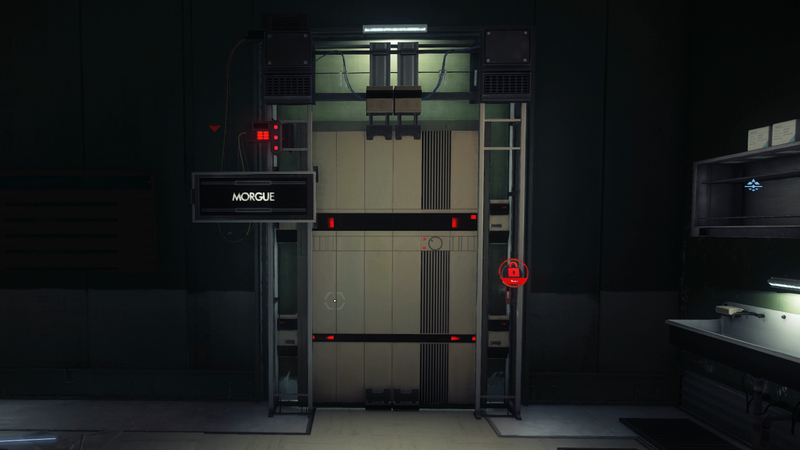 If you followed this guide, you should now have the Morgue keycard, have opened the Morgue, and continued the mission, The Corpse Vanishes, in Prey.